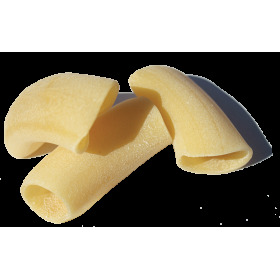 Maccheroni are excellent for dried pasta dishes with meat ragùs or white meat or vegetable gravies or with delicious baked casseroles. The flagrance and the supreme flavour of our homemade pasta is due to the use of the best durum wheat in Sicily, the use of pure water and a careful treatment. The high quality derives from the subsequent processing: such as drying and drawing the pasta. 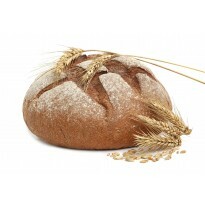 The so-called "Bronze drawing" makes the pasta rough and porous, while drying at very low temperatures for 48 hours, allows a superior quality product, without changing the taste of a typical Sicilian wheat, giving to our products exceptional nutritional and organoleptic qualities, just for eating and living better. We use only natural products and no added colours even for special flavoured pasta.